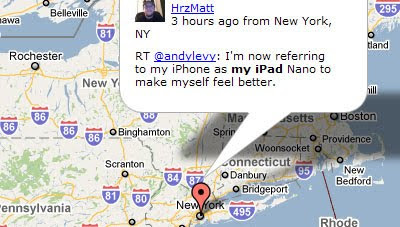 Mibazaar has created a Google Map to show the latest Tweets with the words 'my iPad'. The map animates through the latest Tweets by over-excited consumers who can't wait to inform the world about their latest purchase. The experience is I imagine rather like being locked in a room with a bunch of hyperactive kids on Christmas Day and being forced to listen to their excited descriptions of their new Christmas presents. From my tone of resentment you can probably tell that I haven't got mine yet. Mibazaar has also created this Google Map of the top ten most expensive colleges. The map shows the location of each college on a map and also shows you a Street View of the college. Each college is also accompanied by a brief description. The information window for each college includes a 'previous' and 'next' button so you can navigate through the listed colleges. The colleges are also listed in the map sidebar.